When Apple launched the iPad Air 2 with its new programmable SIM card on Thursday, I suggested Apple had all the tools necessary to become a global virtual operator, selling data (and eventually voice) services directly to its customers. It’s a move industry observers like Gigaom contributor Rudolf van der Berg have been anticipating for some time, but I still feel the likelihood of Apple becoming a flow-blown carrier is slim. When signals go down, networks get congested and unexpected charges appear on your bill, people vent their displeasure at their carriers. That’s grief I’m sure [company]Apple[/company] doesn’t want to deal with. But Apple has plenty of other options beyond becoming a mobile virtual network operator (MVNO) if it wanted to exert more control over the mobile industry. Apple, just like any other phone maker, has always acted as a gatekeeper to mobile networks through its hardware choices. You might recall that AT&T was the only operator in the U.S. that offered the iPhone for years because Apple didn’t want to make a version of the iPhone optimized for [company]Verizon[/company], [company]Sprint[/company] or T-Mobile’s networks. Only gradually did Apple make the iPhone available to those carriers through hardware tweaks ([company]T-Mobile[/company] only got it 18 months ago). We’ve seen the same scenario play out in countries like China and Japan. Apple has long given up the ghost of hardware exclusivity. In fact, it’s making a big deal about the fact that there is a single hardware version of the new cellular iPad Air 2 that is designed to work on 3G and 4G networks most anywhere in the world. But that doesn’t mean Apple is giving up control over what networks its devices can connect to. It’s just moving that control from the device’s radios to this new SIM card technology it’s been developing since at least 2010 (Gigaom’s Stacey Higginbotham broke the original story). The most obvious advantage of this is you don’t have to chose a carrier or procure a carrier’s SIM card before your buy or connect to a device. Apple lets you chose your network right out of the box and sets you up with a prepaid plan ([company]AT&T[/company], T-Mobile and Sprint are participating in the U.S. along with Everything Everywhere in the U.K.). But acting as a gatekeeper to the carriers gives Apple an enormous amount of power if it chooses to weld it. For instance, until – or unless – Verizon gets on board, it could find itself hurting this holiday season when people unwrap their brand-spanking new iPad Airs and try to connect them to the cellular network. If Verizon isn’t an option in Apple’s pull-down menu of carrier choices, Verizon loses its chance at that initial connection. IHS mobile analyst Ian Fogg suggested that Apple could use that power over carriers to get better rates for its customers or pit the carriers against one another during the initial provisioning process. Sprint is already knocking $10 a month off the bill of anyone who connects an iPhone 6 to its network. What if a similar data-only deal was presented on the iPad right next T-Mobile and AT&T’s higher rate plans? “The software-managed Apple SIM model moves Apple into a mediation position because for operators to be present on the Apple SIM, operators must negotiate terms direct with Apple, rather than offering their own carrier iPad SIM direct to any end user,” Fogg wrote in a research note. If Apple really wanted to throw its weight around it could just demand iPhone and iPad specific rates that undercut those offered on carriers’ traditional plans. Operators who didn’t play ball would be knocked off of Apple’s connection menu. They could feasibly get customers the old fashioned way by selling them iPhones and iPads directly, but Fogg postulates Apple could even cut off that avenue. An embedded SIM would have big implications overseas where swapping out SIM cards between devices is far more common. Apple could basically lock mobile service into its own devices, making it more difficult to switch to an Android or Windows device. I’ve just listed off a lot of ways Apple could put the screws to the mobile operators, but the big question is if Apple has any interest in wielding its newfound influence. One of the things that tends to get lost in these Apple-versus-the-mobile-industry debates is that the carriers are Apple’s biggest boosters when it comes to selling its products. Carriers love the iPhone because of the massive amount of data revenue it drives, and they market the hell out of it to their customers. They’re now starting to do the same with the iPad. The last thing Apple wants to do is alienate them, and by backing them into a corner it just might. If the cost of acquiring an iDevice customer becomes higher for Verizon, or if it’s forced to take a cut in profits every time it connects an iPhone, then Verizon will start promoting [company]Samsung[/company] or [company]Motorola[/company] hardware over Apple’s. When Verizon was forced to go iPhone-less for nearly four years, it didn’t just sit on the sidelines. 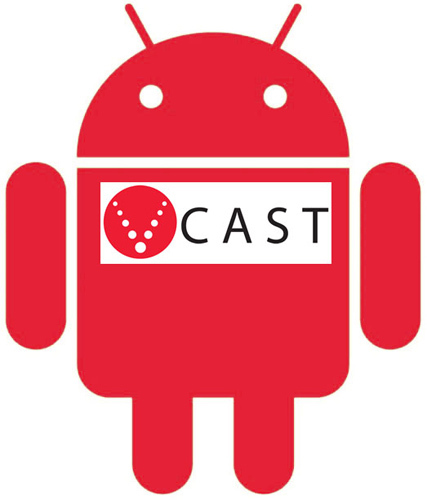 It heavily promoted its line of Droid phones, helping build up the Android market in the U.S. in the process. When the original iPhone launched exclusively on AT&T, Verizon naturally became a big backer of Android. The other problem is that Apple-centric plans go against the current trend in the industry toward shared data plans. Apple will be able to sell you an iPad plan. 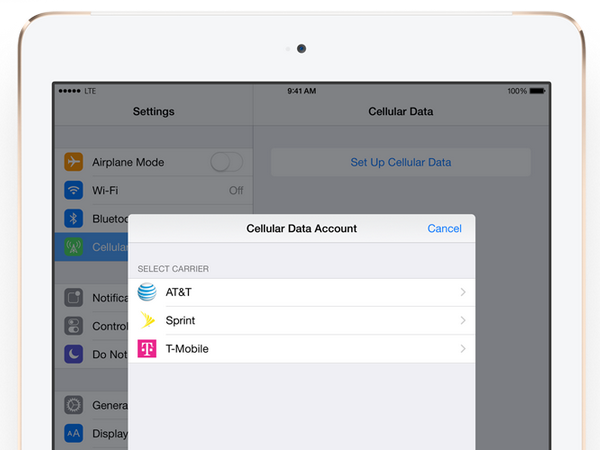 It might even be able to sell you a shared data plan between an iPad and iPhone. But it won’t – or wouldn’t want — to sell you a plan you can share between Android and iOS devices. Apple’s hardware is attractive to a lot of people, but few actually live solely within its wonderland of devices, and with the advent of the internet of things – where our cars and even clothing might someday have a wireless connection – that number is only going to shrink. If say apple is Apple Wireless and they have 1 million subscribers using Sprints network. Then Sprint gets to have Apple pay them a check quarterly, annually, etc.for whatever agreement they setup. Alternatively, say all of the those 1 million customers were on sprints network and receiving service directly from sprint. Then there would be a ton of additional costs placed upon sprint (additional customer care, additional shipping costs, retail staff etc.) plus the headache of having 1 million additional billing invoices in the system. The MVNO model is actually a moneymaker for the carriers in the long run since many of the costs to gain the customer have been offset to the MVNO. As long as the parent service provider can provide adequate service to the MVNO customers than they are fulfilling their duty. i think it would be a poor decision for apple to turn into their own MVNO. The costs associated with gaining bandwidth on multiple networks would be far greater than the additional revenue gained from the additional sales of iDevices. This also would still require customers to deal with a large faceless corporation (isp, verizon, sprint etc…) since anytime service is impacted it is the original network operator that has to fix it. There is a reason we are not all running around with Boost, Page plus,, H20, or any of the other MVNOs available on the major provider networks. Can the sim be re-provisioned to pick a new service provider if the customer is unhappy with their first choice? An interesting take – so Apple is doomed? This is fantastic, only Apple could make this happen, the customer has the power of choice here, shame on Verizon (they are not as great as they would want you to believe, yesterday 10/17/2014 Verizon Wireless had an outage for several hours in Brooklyn & lower Manhattan, NY) for not participating. Let’s see this in future iPhones, The carriers must be unhappy with this but with the technology allowing a single device to work on all carriers/networks it’s a natural evolution. Interesting times! The MVNO idea sounds great. Apple can become an MVNO, buy bandwidth and minutes in bulk from every carrier, and then offer unlimited plans to their customers at a lower price than the carrier charges direct. the phones can detect who has the strongest signal in the area, and Apple can measure the congestion on each network, and connect to the most appropriate network. And then consumers can deal with Apple instead of the carriers, which would be great. SIM cards should be removed completely. Each device’s hardware should be registered on the network. Here in South Africa, the first thing that happens when a phone gets stolen is, the SIM gets taken out and then all remote functions like locking, tracking and wiping becomes moot. No data connection means no access to your phone. So much for the useless “kill switches”. I doubt it. Still, I’d imagine other companies will start creating analogous technology. Unlikely I think. Apple has ended up as the only hardware player with the stomach to strong arm the carriers into giving up control. We’re still not at the at the point of a low-friction competitive carrier marketplace but this kind of change helps create a level playing field where carriers must compete on price and service. I wonder if Apple soft-pedaled the SIM in there announcements to avoid rubbing the carriers’ noses in it. It will be interesting to see whether Verizon capitulates.